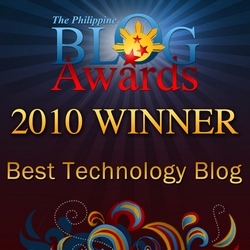 Update (May 11, 2010): I created a WordPress plugin for this one. Check it out here. You have a free WordPress blog that has been online for sometime. You love its simple yet powerful way of managing your content so you’ve decided to have it hosted to a different provider in order to have a more granular control to its code and functionality. Eventually, you needed cash to support the hosting expenses so you decided to utilize your blog for e-commerce use. That’s when Magento comes in to the scene. You want to find a way to use Magento as your backend while pulling your catalog and customer information to be posted to WordPress site. This is what my article is for. Since your WordPress will serve as the frontend, you don’t have to worry about where the database for Magento will be located as long as you have a local access to the Mage.php file in order to extend all Magento’s functionality to your WordPress pages. My current setup is still the same with the rest of my post here having ‘htdocs’ as my root directory, magento has its own subdirectory ‘htdocs/magento’ as well as wordpress in ‘htdocs/wordpress’. The goal here is to able to use Magento as if it is a native function within our WordPress installation. Since there is an existing function collision between Magento and WordPress because both application has an existing translator function named __(), our first task is to automatically detect if the function already exists and disable it in Magento and run as usual if it doesn’t. Why did I choose to disable Magento’s translator function instead of WordPress’? It is because in Magento, it has already been marked as deprecated in version 1.3 and searching throughout the installation I didn’t see any file that uses that function. Note: Mage Enabler plugin users don’t need to do this anymore. The purpose of the code change above is to display a ‘Welcome [customer name here]’ when a customer is logged in, and show ‘Welcome Guest’ when they are not. Next we have to edit the file below to allow us to use the default login page of WordPress as entry point for Magento also. We assumed here that both Magento and WordPress has the same list of user credentials. Your setup maybe different as to which user’s database to use so it’s up to you how to implement it. I hope this article will help you get started in using Magento’s functionality within WordPress. How would you bring the header including navigation and the works over to wordpress? My site is http://www.incego.com/m/gold, which is a slightly modified Modern theme. We have the welcome message, cart, login, etc. links, logo image and catalog navigation and cms links. Appreciate any pointers you can provide. It’s in the comments area. Check out the codes I posted right after vesvello’s question. Just saw the other comments after my page refreshed. I’ll explore based on your other examples. That is a really interesting take on WP/Mage integration. We always use the store itself as the primary for more flexibility and control over the layout (WP is pretty basic! ), but a good article nonetheless! I need to get the current store id form outside magento. (1 is English and 3 is Spanish). and then after they selected a locale, use the method setLocale() or setDefaultLocale(), whichever is applicable to you. Richard, awesome post. I just wanted to clarify whether in your example Magento and WordPress are installed into the same database or not. perhaps,that is why the headeris different between wordpress and magento . Very timely article for me. I was about to start copying source code into Magento pages. I do have one questions regarding the breadcrumbs Magento’s category navigation. Do you see your method being able to make these features work? For example, if am viewing the products of Magento (Home>Store>Accessories) in WP and I click Home in the breadcrumb trail, is it going to take me to WP’s home or Magento’s. Thank you for your help and your work. Thanks for the reply Richard! I will give it a shot. What if you don’t want to assume that both Magento and WordPress has the same list of user credentials and that all you want is the global nav (Welcome, John Smith! My Account My Wishlist (1 item) My Cart Checkout Log Out) to display the session info in while viewing WP pages? I have skinned my WP and Magento pages to look identical, but the session information therefore does not work. Meaning that when I login (to Magento) and add some products to my cart, that Welcome message reflects the change (My Cart (1 item)), but as soon as I navigate to a WP page, Welcome message does not reflect the change and still states “Welcome Guest!”. I tried following your example to pull in the header and footer from Magento. I was able to do both, but the when I tried to do a similar script to pull in the top.links.phtml, I had no success. I figured it out. This is awesome! Thank you for your research. Using your example and the thread below, I was able to pull my toplinks session data from Magento into WP. Now customers’ session info is displayed in all my WP pages. Glad that my script helped you get started figuring out on your own how to customize your WP with Magento session running in it. Can you post this code again using the code tag? great script! I have an almost solution for my needs. Try using an ‘echo’ also, someone used it here as well. I’m having the same issue as James. Both my Header and Footer are constructed of getChildHTML tags. How do I get WordPress to render these? Magento must have read/write access to these folders. Also clear the sessions and cache folder contents within /var. Is anybody gettting this to work with Magento 1.4.0.1 and WordPress 2.9.2? I get a fatal error. Maybe it needs to be altered for these versions? Any thoughts on why any of the html inner blocks are not being redered? I have used the code tag to paste the code but the wp seems to truncate my opening php tag, echo statement and the class refrence. Am I doing somethign wrong? Check this out. This is how is display source code in my post and comments. It seems your script should work now but I can’t see your whole script. Also try checking this post so you can validate also if you accidentally missed something. Thanks for taking the timur e to respond to my queries. My script is working is all ok and works fine on my magento rendered pages. The issue is only in the word press header. Is this your code in your .phtml file for header? It looks fine to me. What happens when your try to run your script? Hmm, are you using Mage Enabler plugin or the previous hack I did in functions.php? nothing happens – nothing is displayed and no errors either. If nothing happened and the page went blank (white), it means there’s a fatal error in your code. Use error_reporting(E_ALL) at the top of the script you’re working on to display the error. Thanks for the feedback! I’ve tried to change the permissions as you suggest and also clear seassion and cache data but still the same error. In fact I’ve tried to chmod 777 the whole site but still the same error. In the past I’ve had some errors because my server run php as a module. Could this cause errors? Hmm weird. Can you run Magento as a standalone application without any error? Check the links below too, it seems the issue is related to what they experienced too with Magento. I get it to work on version 1.4.0.0 strangely enough. Sorry to bother you with these boring errors. This time I’ll only give you some feedback. 1, I did get the code running! But I didn’t change the code. Instead I tried it from my Macbook which uses another version of Firefox and to my surprise it started working! When I however try from Safari on the Macbook it still gives me the same error. 2. I did a fresh install of Magento 1.4.0.1 through ssh on the same server (I think I used ftp last time). This time I get the code working again (all browsers). I don’t know what conclusions to draw but I just wanted to leave some feedback. Well looks like your problem is actually your browser cache. The problem lies in the internal Store View Codes. I run three stores and I’ve changed the Store View Codes to make sense to me. While doing that I removed the Code ‘default’. So when I put ‘default’ back it starts working. Magic! Many thanks for great feedback and code examples! I was experiencing the same errors as you were. Thanks for your tip on the Store Names in Magento. We also run a multi-store setup, so we changed the default name. 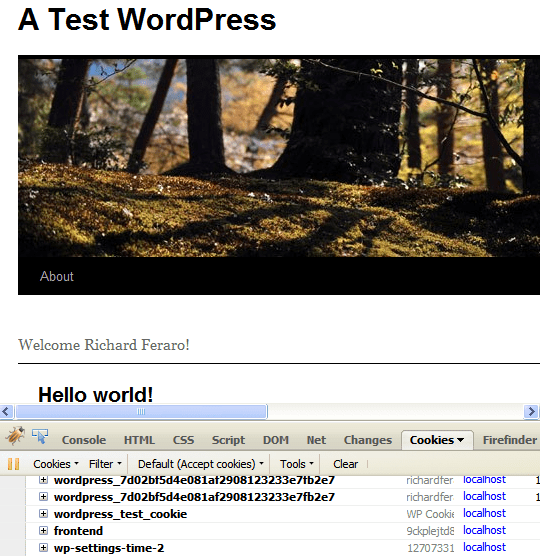 I simply entered our custom name into the WordPress functions.php and it worked like a charm! Do you have any ideas on how you could query both Magento and WP’s db at the same time, so that the search function will return posts and catalog items? Why would you want to combine two different sets of data into 1 query? Create a separate query for post and catalog then do your manipulation in arrays using PHP. This work-around may solve my problem. I have a website (Xhtml/css). I need to add Magento to it as well as a CMS for the static & blog pages (more static pages then blog). On my homepage I need to pull magento products into a slider/carousel. Will this workaround help with that? I also need to have the header and footer from Magento. (ie “Log-in/Register” and “Your cart has 2 items”). Is this even the best method. You want to use WordPress for the homepage with the login/register and cart info in it pulling information from Magento while the subdomain ‘shop’ will showcase an actual Magento store? Yes, it is possible 🙂 Although you will be managing two sites now since Magento has its own templating system. How about using WordPress for everything from blogging to the actual shop too so that all you need to skin is WP (who in turn handles your CMS and shop’s frontend) and catalogs and orders management will be handled at the backend of Magento? So I will be able to do front-end WP and back-end Magento with this workaround? Just so I understand. Inside a WP template I can have my Magento products displayed on the page. I can interact with Magento as I normally would inside of WP?? If, so this sounds like the solution to my problem. I think I struggle with the logic more than anything. 1. To keep from modifying the core of WP can I assume it would be okay to place the magento() function inside functions.php of my theme? (I did similar by making the change to magento’s functions.php in code/local/Mage/Core). 2. In WordPress (2.9) mage is working and I can print_r the session object but I can not seem to access any data from mage (user name, cart items etc) – I simply get nothing. Magento is 1.4.0.1. Thanks for reading my blog. Regarding item number 1, it really doesn’t matter whether you place your magento() function inside functions.php or within your theme files as long as you get the same result. I just placed it within functions.php for it to be available anywhere within WordPress, not just my theme files. Just make sure that no header has been sent prior to calling the ‘core/session’ of Magento. For your item number 2, how do you use the script for accessing customer info and cart contents? You should be able to access it already since the session’s object can be printed as you mentioned earlier. Check as well the error_reporting of your php settings. It must be set to ‘all’ while in development stage so you can see if there’s an error in your script. Great idea for wordpress integration. This looks so simple that it is hard to believe! So it is really possible to pull everything in Magento into WordPress? Even payment modules? It would be really cool to find a live example. I just stumbled upon your post and I must say it looks really great. If it works as expected this is awesome. Do you plan to release it as a WP plugin anytime? That would be a really popular one, no doubt. Thanks for reading my blog. Actually that is my next target article. I’m just figuring out for a couple of days already how I can make it work seamlessly via ‘hook’ in WP processes without getting ‘cannot send header…’ error. Hopefully I can finish it soon. Let me know if you need any help with the plugin, would be a pleasure. I followed your steps and implemented all the code etc. When I tried to activate plugin – it gave me “The plugin does not have a valid header.” error. The “Welcome Guest” message comes up on the pages where I placed it, but it doesn’t update when person is logged in. Oh I see. Is it the functions.php the file where you added the code above? Restore it again to its original and use the Mage Enabler plugin from the Official WordPress Plugin repo then let me know how it goes. Do not edit functions.php anymore if you have the Mage Enabler plugin installed. I also checked your site, the ‘frontend’ cookie is properly generated which means Mage object is instantiated. with the correct images and files. Yes – jumped back a folder and now the install works. What code do I need to input to get the Welcome messge to show up? Great article! I’m trying to get my head around how to build a wordpress site with a magento backend and this has been a great starting point. One problem I can see though – how di I get the same users in both the magento database and the wordpress database? Thanks for reading the article. Regarding your question, the setup will vary depending on your project. You can maintain the separate databases for customers (Magento) and subscribers (WordPress) or you can ditch one of the two users table so you have only one source of user profiles. In the article I wrote, I assumed that the programmer who will be using the technique shall devise a way to sync the two user database; either hacking some WordPress function that creates the user record to pass the same parameters to Magento’s method that creates the user, or the other way around. Since the Mage object already runs within WordPress, it shouldn’t be hard communicating between the two application. For testing purposes, I manually created the customer and subscriber account with the same login details on both Magento and WordPress to see if it works. You’re right – with the Mage object working from wordpress should be able to create magento users from within the wordpress create user code. First, Richard, thank you so much for this information! I installed plugin, thank you. Now, Jim, can you say, are you going to do this? I have big WordPress site with 15,000 subscribers. I think I can easily import these to Magento, but how when new WP subscribers create account will they automatically be created in Magento as well? Thank you, Jim, Richard, for any advice you can provide. Meanwhile I will be looking at Magento’s customer creation markup to hopefully find what I need to put into WordPress. Now THIS looks interesting. Not sure how, what with all of the searching I’ve been doing over the past weeks, I missed this. All I see is “WordPress in Magento”, “WordPress in Magento”, “WordPress in Magento”, “WordPress in Magento”. Maybe it’s just a matter of semantics but I *think* I prefer it the way you’ve done it. I read through the other two posts and comments and I am heartened by reading that someone is using WP3, so there’s hope for what I want to do, ‘cuz I’m in WPMu in a subdomain install. Currently, I’m working in a sandbox install of WPMu testing carts. I’ve invested a week rewriting sections of WP e-Commerce so that it works but the pervading atmosphere of frustrated users is beginning to make me lose my Fools Rush In approach to it and find a more robust pairing. I’m at the point of buying the addons that are required to actually make it do what it should and I’m seeing that when *that* happens, it opens up another whole can of landmines that’ll have to be overcome. The atmosphere here and the level of clue has me enthused again, but in starting over, not in continuing down the same path. I can always fall back on that work if I need it but I gotta find out how your solution works. Anyhoos, before I go and bork my well-oiled machine (and I’m really chomping at the bit to try this out) it would be prudent to ask the one person who would know. a) Will Mage Enabler play well with WPMu and be able to access the one Magento install from different WP themes? From the absolute path specs required, I’m guessing ‘yes’. I’d use a separate database, partly due to just keeping things compartmentalized and partly due to Magento requiring InnoDB tables; which I have no experience with. Thanks, and thanks or your great work. Hello BJ 🙂 Thanks for taking time reading my articles. a. Yes, as long as you have a local access (absolute URL) to your Mage.php file. b. Yes, whether the shop is within WPMu directory or same directory level as your WPMu it should work properly. InnoDB is almost the same as MySQL only that InnoDB’s way of handling, saving, storing records are favorable for transactional data. c. Yes, it’s possible. The way you access ‘items’ will depend on how they are stored. For example, if they are from different databases then you wouldn’t have problem as long as your query is executed within the right database. If you’re Magento shop subs uses single database and are grouped by store ID then you can just include the specific store ID to your query so you’ll be able to differentiate from which sub the data are from. This way the primary URL for WPMu can just point to the shop as: http://example.com/shop/ without any rewriting, etc. I’d rather install Magento shop outside your WPMu so I don’t have to worry about messing up each others redirection rules (Magento and WordPress have different URL patterns.) You can still make WPMu point to http://example.com/shop/ using 301 redirect or if you’re in linux, you can use symbolic links to point it to the proper directory. This is just a suggestion and you can still do what you mentioned above if it suits your setup. The good thing about Mage Enabler plugin, it treats any website as an external site so whatever actions you’ll be doing with the Mage object, it will always refer back to the domain (due to it’s cookie) where it is accessed from. Thanks for the clarifications. So, here’s where it gets natty. Just want to make sure I understand fully. I’m on FreeBSD so a ln will work. In fact that’s how I’m running the two WPMu installs with one set of themes. Tried to do the same with /plugins but some of them couldn’t find their parts, so just gave in and copied. I’d install Magento in /public_html/shop/ and set a link from /public_html/WPMu/shop/ to it? Or, does it matter if WP is the parent and Magento is in the background; not accessed directly through a URL? Not sure whether I’d access directly or not but it is a possibility. Perhaps the search engines would need to go there and not go through WP to do it? Hmmm… OK I’m now wondering about the redirection rules you speak of. Are you talking internal or in .htaccess? It occurs that direct access to Magento in my case wouldn’t be easily doable, as the parent WPMu domain controls the IP#, so it can handle the domain mapping of sub-blogs pointed at it via A records. Rewrite could handle it, I suppose, but that always does my head in. This may be out of your area but regarding SSL, referencing your saying the Mage object always refers back to the domain it is accessed from, do you think I’d have to get one of those really expensive ‘any domain’ (not wildcard subdomain) certs in order to access Magento from the domain mapped sub-blogs? Unless, somehow Magento can have its cert on the parent WP blog and interface with the sub-blogs without throwing browser warnings. The only portion of the purchase process that really has to be SSL is Checkout after collecting contact data, I suppose. Having the whole process within SSL, though, helps customers to feel more protected when they are entering their address, etc. The setup where Mage Enabler applies is when you wanted to use Magento’s admin to manage the store and WordPress serves as the front-end where you display the products and other stuff from Magento which means the default store front-end wont be seen in any case. The only requirement of the plugin is to have the absolute (explicit file location, definitely the files stored on the same server, but database can be anywhere) location like for Windows it will be C:\xampp\htdocs\magento\app\Mage.php or with Linux it is /public_html/folder/to/your/file.php. I mean the format of the URL. WordPress has it own permalink pattern like http://example.com/month/day/sometimes-long-title-here/?#commentid while Magento has http://exampleshop.com/index.php/some-weird-item-with-additional-info-as-filename.html. WP and Magento each has it own htaccess which could extend and affect the subdirectories within it. This is best explained in my previous comment which can be found here. …do you think I?d have to get one of those really expensive ?any domain? (not wildcard subdomain) certs in order to access Magento from the domain mapped sub-blogs? If you’re sub-blogs belongs to the same domain like http://example.com/blog1, http://example.com/blog2, a single SSL cert is sufficient. But if each sub-blogs is accessed to a different domain even if hosted on the same server and directory like http://exampleblog1.com, http://exampleblog2.com then it will require its own SSL certificate. There are multi-domain SSL cert available, but I think it’s overkill if there are only 10 sites that will use that. I have a number of jquery libraries I load on the magento site which as part of my header display, needs to be loaded in wordpress header as well. but this gives me an error as that function references an object that doesnt seem to be instantiated. Am I on the right track with this or going about this the wrong way completely? Did you try adding the code below at the top of the PHP file you’re working on? This code generates the frontend cookie needed by Magento as well as instantiates the Mage object within WordPress. Not much luck so far. Is it possible to see the whole file where you’re using this script? I can’t figure out how you came up with $magento_block and what causes your error. To confirm all other function calls work except getCssJsHtml() which is giving me the error mentioned above. Did you forget to add setTemplate() for $head? I’ll be trying to come up with a post also on how to pull blocks and static content from Magento maybe this week once I’m done setting up my demo magento in my new machine. Thanks so much for this tutorial! I ALMOST have it working, but my entire header and footer are built using the ‘getchildhtml’ function, which for some reason isn’t working. My directory structure is setup so magento is in the root of my public_html folder and then a wordpress folder inside of that. It seems to work fine, except for URL rewrites in WordPress. One of the commenters here (peaker) were able to extract Magento blocks. Meaning I have to define getChildHtml because WordPress doesn’t know what that is? I tried to include the getChildHtml function definition in abstract.php, but it didn’t do anything in WordPress. Meaning I have to define getChildHtml because WordPress doesn?t know what that is? No. What I meant was first, are you using the tweak I wrote about in this post or are you using Mage Enabler found in my other post? Thanks for the help with this issue. When you say the “tweak” in this post, are you referring to removing the Magento function “__()”, if so, then yes I have. I’m also using the WordPress plugin Mage Enabler and the plugin is reporting it found Mage.php successfully. I’m setting up my new machine for magento testing. I’ll let you know what comes up in my own testing for pulling blocks from magento. When I do a PHP include to the entire abstract.php file, the screen goes white. You shouldn’t include that file. Just tried your code above (right under “You?re code should look like this if you?re using James code with Mage Enabler:”). It pulls in Magento’s nav and search box, but leaves everything unstyled and doesn’t appear to follow the getChildHTML commands. The source code shows nothing in within the . Yeah fixed it, thanks. Were you able to use getCssJsHtml() to pull the styles? Has anyone got this plugin to work on their site in WordPress? Also, when users go to the shop page are they going to be redirected to magento’s theme? I just want to pull in the products page, product page, and shopping cart page into WordPress and make it seamless. From what I’ve read (and I’ve skimmed so please direct me to where I can find it) when the user goes into the shop they have to actually go into Magento instead of being able to stay within WordPress. From what I?ve read (and I?ve skimmed so please direct me to where I can find it) when the user goes into the shop they have to actually go into Magento instead of being able to stay within WordPress. 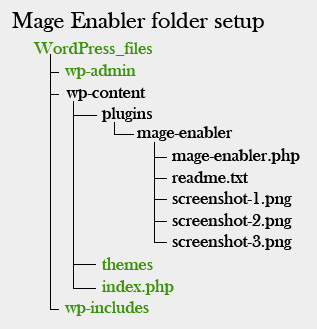 If you’re referring to Mage Enabler plugin for WordPress, the answer is no. It is a WordPress plugin, so all the communication to Magento is done via PHP scripts written in the theme or non-admin files of WordPress. From which article did you read that? Hi thanks for a nice script idea. Just wondering in a similar way is it possible to use Joomla Session to authenticate WordPress users? Thanks Vikram. I believe there are modules for Joomla that does the same or something similar. This seems to have fixed my issue. Do you foresee any problems with this change? It should work within wp-login.php and user.php. What’s the script that you think isn’t working within those files without changing the original hook_name? Hmm, once you enable Mage Enabler, it should be present in any file. Try adding error_reporting(E_ALL) at the top of user.php and wp-login.php to see what’s preventing Mage object from being instantiated. The possible cause could be that Mage::getSingleton("core/session", array("name" => "frontend")); is executed in header.php instead of index.php of your theme file. Hi Richard, first of all thank you for the great tutorial! The problem is that my customer session is always showing that the customer is NULL, and the that prints is always NOT LOGGED IN one, even though I am logged in as a Magento customer. Otherwise, calling Mage functions from WP works fine. I am using Magento 1.4.0.1 and WP 3.0.4. Have you ever came across this kind of problem? If your username and password is correct, your isLoggedIn() should echo LOGGED IN. You should also keep in mind that if you logged in to Magento frontend, dont expect that you’ll be logged in automatically in your WP since they’re both using a different cookie path. In order for Magento and WP to share the same session, you should pass the PHPSESSID in your URL from Magento to WP or the other way around. The thing is, the users on the blog site can’t do anything and there’s no need for them to be logged in to WordPress, just to Magento. And the idea is for them to be able to see their cart contents while reading some posts on the WordPress site. The login command works great, but in order to do it i need to transfer username and password from the Magento site. Is that login still necessary? 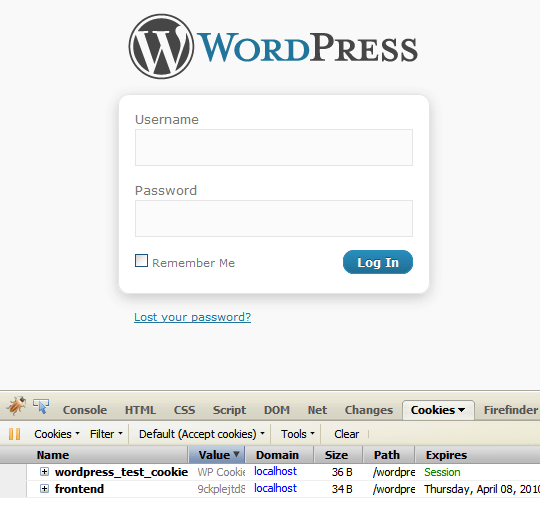 The login script I posted is for you to test if Mage session is working as expected in your WordPress. Once you have confirmed that indeed they can execute login within your WP (that is if isLoggedIn() returns true), then the next thing you should do is pass the PHPSESSID from Magento to WP for them to share the same session without the use of the login code I mentioned. Hi Richard. Great plugin! This is going to be incredibly useful for me. I posted a question in the plugin forum, but then found that VinnyD was having the same issue a few comments back. I made the same change that he did, and now mine is working as well. Before that, Mage couldn’t be found in wp-login.php or user.php. Any idea why that would be the case? It happens because it is accustomed to add the code below in the theme’s header.php file but since it isn’t really included in majority of the files that’s why the error occurs. I usually advise them to place it in the theme’s index.php right before the get_header() call to make sure it is executed whenever needed. Hi Richard, Everything here works fine, except for the fact that it seems to be pulling the phtml files from the default theme – I am using the modern theme. Any ideas how to change this? Have you check this post? Hi All, Just wondering if anyone has had any success with auto-generating a WordPress user account simultaneously to when a Magento user account is created? Is there a site I can view that has successfully applied the plugin? thank you. Looks like this would be great for my existing wp site. Check the support link here for samples. I am not going to use the magento store for purchases so do not need the cart functions. I am using Magento “products” to display service providers and the reviews and ratings functions. I just want to have the wp menus include the magento store pages and not have two home pages. For my purposes I have the wp and magento skins pretty close so ok if different headers and footers for the moment. Am I on the right track? Would the below be a good order of procedure? 2) FTP Magento to Shop Folder. 3) Create database on server. 6) follow post and install directions. This error means that you are using a MySQL account with invalid credentials. Ok; I had not loaded the database yet, so did that and made db name, user and pw, and deleted the var cache, and now the site loads, but a bunch of error codes for the mage php line 676.
about 14 errors starting with simplexml_load_file. Did you modify your local.xml file? Bryan: you made a Typo in local.xml. @Tobias, thanks for the clue. I just opened the file from my local machine which works fine, and changed the db name, user name and password to match my server new Magento database, which was a export, import. I did have a database error, though, so may try that process again. I can’t find any typo errors? looks like the comment form is not accepting the code? Trying again, if below is blank how do I post the code? Just post the necessary part of the code. I appreciate any help, I know this is not really plugin related, but Magento move from local machine to web server, and data base related. Really hoping to see how I can use the integration once I get past these move issues. Re: The local.xml file. I moved the local machine local.xml file via ftp, and changed the user, db name, and pw. But not sure if I am doing it correctly. User was root@localhost and tried different versions of my database name: bryan1 and then tried hotlotsa_bryan1. I cannot find any screenshots of the way to change it online, most of the tutorials say to load a fresh version of Mangento and the install will create the local.xml file.? I also changed the database core_config_data to the correct htttp: for the base and secure url. Ok! I figured out the correct user and db names and now no error messages on site load! Now on my main machine I cannot login to WP admin? I get a “page not found” when I try wp_login.php, and normally above the header it sees that I am the admin, and has login links there, which now have gone away. On my laptop, can login just fine, and shows the admin info above the header. Cookie issue? I rebooted, same, cleared cookies and cache for today, same. Using Firefox on both machines. The bright spot is it works and looks great on my laptop! Ok: got it all working. Shut the machine totally off instead of rebooting, and now the admin page loads. Looking forward to working with the plugin on my site! I just wanted to say Thank You for the great plugin. I just transferred the database, my Magento public html, plugin, and all, from my WP test server to my main WP site, reset the database and local.xml in 60 minutes, and all is working fine. At this point I am happy to “just” have the Magento store pages accessed from my menu, but looking forward to doing some work to match up the headers and footers, and integrate products into posts. This is so much better for me than trying to integrate wp into Magento, and not being able to use most of my plugins from WP. Thanks Bryan for the feedback 🙂 keep on reading. i already pulled magento new products to display in my wordpress. but the listing shows 3 columns per row while in my magento it sets 4 columns per row. is there a way to set the number of columns to display in my wordpress? looks like a great WP plugin. Here’s what I’m trying to do with it. We have a main magento store on one domain, and a blog on a seperate domain and machine. I’d like to showcase featured products on the blog and don’t need to worry about full integration, simply pass blog visitors to the store and manage them & sales there, at least to begin with. I decided to give your plugin a go and installed it but get an invalid url error on the Mage.php when trying to gonfigure the mage enabler – I guess this is because its on a different domain/server/host and related to the path structure input. Can you advise if this is do-able (+ correct path structure – using full http:// etc), and if this is the right approach, or do I need to get everything under the same domain/server.? I could move the blog over and put it in a sub directory and point the existing blog domain at it I guess. Also, for what I’m trying to do intially, is this overkill as a solution..? Is there a simpler way to port featured produtcs into a blog page or category as posts..? Having said that, this is something I definitely want to develop further – i.e. the full integration, so the answer to the issues of different domains and machines and paths – if feasible – would be great. Mage Enabler can only work if the two is hosted on the same server. If the blog is in another domain on same server will that work, and if so what will the path look like from the blog domain. e.g. store.com and blog.com on same server, how do I reference mage.php so that the WP install can find it..? Now all of a sudden the sessions have stopped working. I know that the link to mage.php is still there as pulling blocks out and displaying. So my cart is no longer updating. I’ve cleared sessions, used a new browser and checked httpd error/access logs but nothing. If anyone has any clues, they would be welcome. Hello, I am new to much of this. I am deciding between ahead works and WordPress integration to my Magento store. Is it possible to use your simplified process in a reverse fashion to bring word press into my store. No, not with Mage Enabler. But WordPress itself has a way of extending its functions to external sites. Check on including wp-load.php in your store. The Cart shows up, but ist empty. Would be fine if someone has a solution. Why are there so many getSingleton? I usually use it for core/session only. 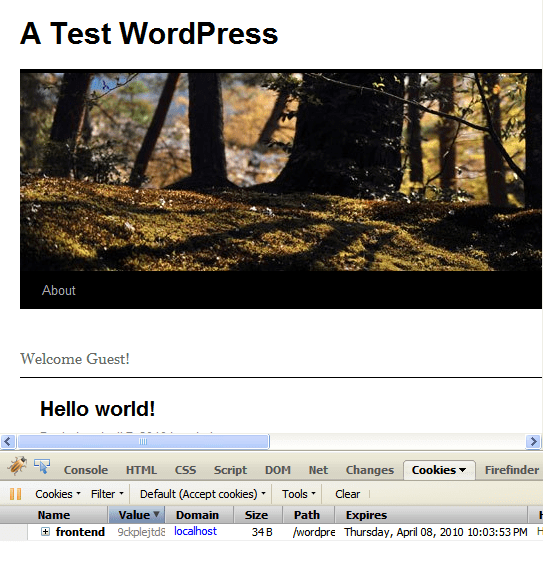 hi, thank you for this wonderful wp plugin, i am following along, but what i came up with were two cookies named “frontend”, one’s path is “/”, and the other one is “/blog”, if in my browser i removed the one whose path is “/blog”, i can see the user logged in, otherwise, it takes it as if i never logged in to the magento site.. has anyone faced this issue? 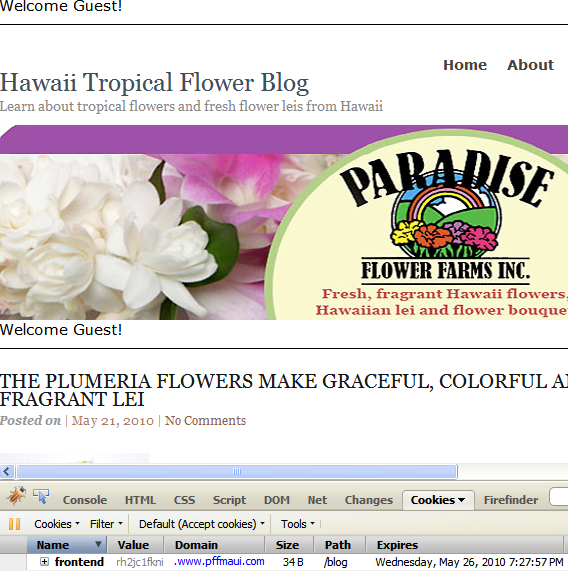 This helped me to theme out Vanilla forums with my magento header and footer. It was a very similar conflict to the one you mentioned with wordpress… except that there was a conflict with the now() function. So far so good, it does not seem to have disabled vanilla forums or messed up the tracking of time in any way. I know that is not what this blog post is about, but I figured if anyone finds their way here through google because I mentioned ‘vanilla forum’ and installing magento themes in it, they would appreciate the help 😉 The same principles apply to both. 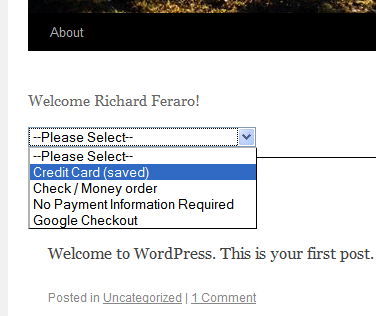 Hello, i tried your suggestions here on http://mysillypointofview.richardferaro.com/2010/04/08/how-to-use-magentos-session-within-wordpress/ and also i tried it with mage enabler plugin , but my site doesn’t fetch the user credentials from magento site, although its running session nicely, but it only show welcome guest , i think i am not getting this line We assumed here that both Magento and WordPress has the same list of user credentials. Your setup maybe different as to which user’s database to use so it’s up to you how to implement it. So what i am asking you to please guide me about that? wordpress access with username and password where as magento frontend customers are sharing by mail & password, i won’t to give single login for them. May I know what are the URLs of your WordPress and Magento instance? They should be in the same domain and should share the same cookie domain as well. But it does not work, it says Welcome Guest!, insted of Welcome 5 (5 is the customer id i have now, as i am logged in). If i paste the previous code on the html file, it works perfectly. How can i integrate Mage correctly in php? Thank you.